Set on a small hill overlooking Puerto Rico Gran Canaria, Cala Nova Apartments is 10 minutes’ walk from the beach. 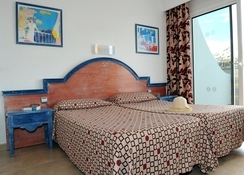 This 1-star apartment complex is located on the south west coast of the beautiful island paradise of Gran Canaria, within walking distance from a good variety of bars, restaurants and shops. Constructed in solid volcanic rock and decorated with many vibrant colours, this hotel is great for couples and families alike. 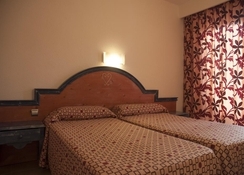 The hotel is close to several recreational facilities and attractions nearby. 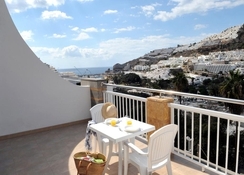 The self-catering one bedroom apartments can accommodate up to four people - some with partial sea views. The nearby Puerto Rico beach offers a wide range of water sports. Puerto Rico has attractions such as Vegueta's historic old town, Tejeda, Roque Nublo nature park, the municipality of Teror with the sanctuary of the Virgin del Pino (Our Lady of the Pines). The Cenobio de Valeron cave system is also within one hour's drive of the apartments. The Gran Canaria Airport is about 50km from the hotel. The Cala Nova Apartments features one-bedroom apartments that can accommodate up to four people, with the possibility of converting the sofa of the salon into a bed. 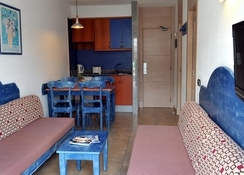 The apartments have tiled floors and colourful, beach-style décor. Each apartment one has a kitchenette with a hob and coffee-maker. TVs are available at an extra cost. There is a spacious bathroom, open plan kitchen with the lounge / dining room and fully fitted with accessories such as a toaster and kettle. A large, well distributed balcony is on hand for romantic and family dinners, some with partial views of the ocean (with supplement). Cala Nova Apartments are booked as self-catering accommodation. Drinks or a snack can be found at the hotel's poolside snack bar with exotics cocktails and ice cream as well. Every night on the terrace of the bar you can enjoy one of the live shows that the entertainment team has to offer. The bar also has a large, flat screen television transmitting all the sporting events and is also used for those who wish to relax watching a film. Be sure to try your luck at the nightly Bingo games! 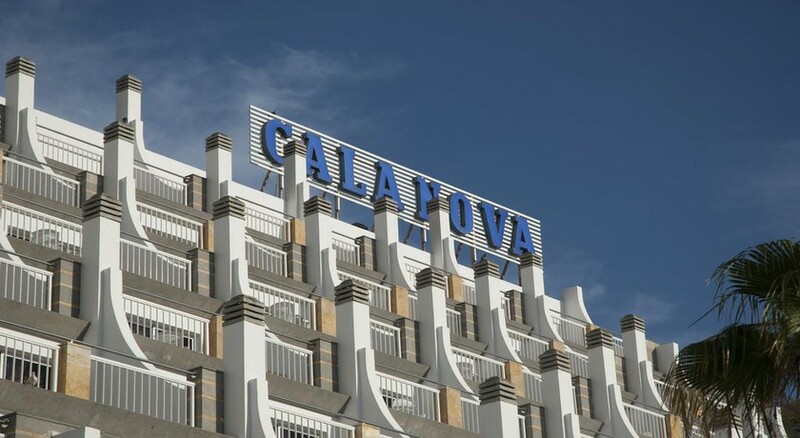 An acclimatised swimming pool, sun terrace with sun loungers and umbrellas, children's play room, pool games, darts, recreational room with slot machines and a billiard table beckon guests to spend their time at the Cala Nova Apartments. There are plenty of water sports at the beach, an Aqua Park close by as well as Talasoterapia pool. For golf lovers the Anfi Tauro golf course is approximately 4.5km from the complex.